Whether you're an existing law firm looking for a competitive edge over your competition, or you're an attorney considering launching your own practice, P3 has the experience and the knowledge to help you stand out in a competitive crowd and attract the ideal clients that will grow your practice. P3 can help you develop a brand image that distinguishes you above & beyond your competition. We can develop specific marketing collateral to help you achieve your goals and benchmarks, no matter what size law firm you have, or the competition you face. Since our establishment in 1990, P3 has spent that last 26 years helping attorneys and law firms develop powerful brand images and marketing processes that deliver extraordinary results. 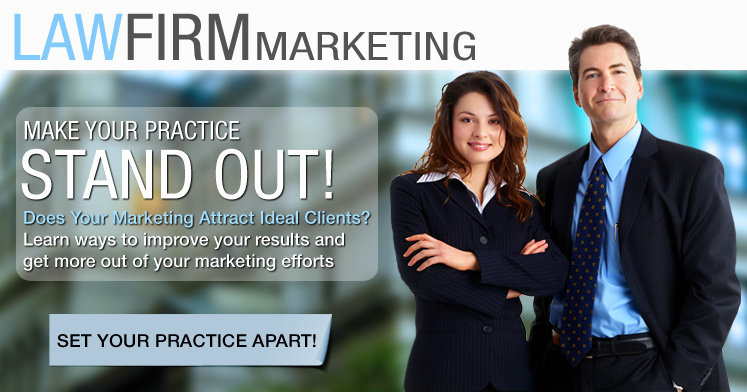 During that time, we have developed a proprietary approach to helping our clients create the law firm marketing designed to support the consistent growth you want for your practice. P3 prides itself on providing custom tailored, value-based solutions unlike many of the lawyer marketing millworks you can find out there. You won't find bland designs and repetitive content from our team of pros. We're an agency that services all types of industries, so you get to leverage our experience and expertise to attract the ideal, target clients you want your law firm marketing and brand messages to attract. Please take a look at our law firm marketing portfolio and feel free to download our complimentary guides to help you enhance your law firm marketing. If you have any questions or you would like to discuss what's possible for your law practice, please give us a call and fire away with any questions you may have. Hopefully our team and services will be a good fit for you, and we'll be able to help you start attracting more clients ASAP. We typically start the conversation off with a quick call to learn what your goals & needs are. Then we figure out what's working for you, and what's not. After we've had a chance to talk, we'll see if it makes sense to schedule a custom presentation to do a deep-dive into the full scope of our capabilities, services, and the methodology we use to help you develop a marketing process that will consistently deliver the results you want for your firm. 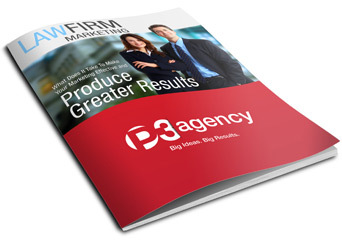 Check out our capabilities brochure to learn more about how P3 can help you ensure your law firm's marketing is producing maximum results. The P3 Agency is the most professional web design group I have encountered...Insightful and responsive, they are a pleasure to work with! When I first started working with P3, I just left a previous law firm and had very little internet presence of my own. In the short time I've worked with P3, they have created a website that attracts customers, a logo and brand that are consistent with the vision and mission of my law firm, and they have helped me market the firm through print advertising. With P3's help, we have been able to create a steady stream of paying clients that has allowed me to spend more time working on the business and practicing law.